Local pain and/or paresthesias at site of envenomation. Pain and/or paresthesias remote from the site of the sting in addition to local findings. Cranial nerve dysfunction: blurred vision, wandering eye movement, hyper salivation, trouble swallowing, tongue fasciculation, problem with upper airway, slurred speech. Both cranial nerve and somatic skeletal neuromuscular dysfunction. Grades I and II can be treated supportively with analgesics, ice, and updating tetanus as needed. However, grades III and IV stings can be life threatening and further treatment is often necessary. In 1965, Arizona State University (ASU) started making a goat derived antivenom. It did not require FDA approval, as ASU did not have financial benefits from the production and it was only available in Arizona. However, this goat derived antivenom demonstrated high rates of anaphylaxis and serum sickness. In 2001, this antivenom production was stopped and by 2004 there was no antivenom left in the state of Arizona. [2,4] Because of this, many studies looked at the best way to support children following envenomation. In one study of 88 patients admitted to a tertiary children’s hospital, 20% developed rhabdomyolysis, 20% had aspiration pneumonia, and 24% required intubation. Most of these patients were managed with benzodiazepines, mostly midazolam, opioids, intravenous fluids and, in some cases, atropine. There were no deaths in this study, although, supportive care did require high rates of intensive care unit admissions. In 2011, a new F(ab’)2 fragment antivenom, trade name Anascorp, was developed. A double-blinded placebo controlled trial by Boyer et. al, looked at 15 patients randomized to either three vials of Anascorp or three vials of placebo of grade III/IV envenomations only. They found that in the placebo group, six out of seven patients still had symptoms at four hours, higher rates of midazolam use and overall higher rates of admission to the hospital. Of the eight patients that received Anascorp, none had symptoms at four hours and all were discharged from the ED. Unfortunately, Anascorp is costly at an estimated $3500 per vial. A retrospective chart review looked at different dosing strategies of Anascorp to determine cost effectiveness. They found that supportive care overall was the least expensive, at approximately $3500 per patient compared to full dose (3 vials) Anascorp costing $14,000 per patient. They also looked at an alternative, off label dosing strategy of a single vial of Anascorp titrated to clinical response and determined it to have an average cost of $6600 per patient. But is this serial dosing safe? There have been studies looking at this dosing strategy, all of which have been retrospective with their own limitations. However, it does seem that if the patient is stable, serial dosing may appropriate. Bear in mind, it is likely that sicker patients will require the full three vial dose. It is important to know the clinical presentation of bark scorpion envenomation, especially for those providers working in the southwestern United States. Symptomatic care is all that is needed for grade I and II and can be used for grades III and IV. However, it is likely that Anascorp may be better at controlling symptoms and reducing the need for hospitalization; yet, supportive care can be used if antivenom is not available. 2. O'connor A, Ruha AM. 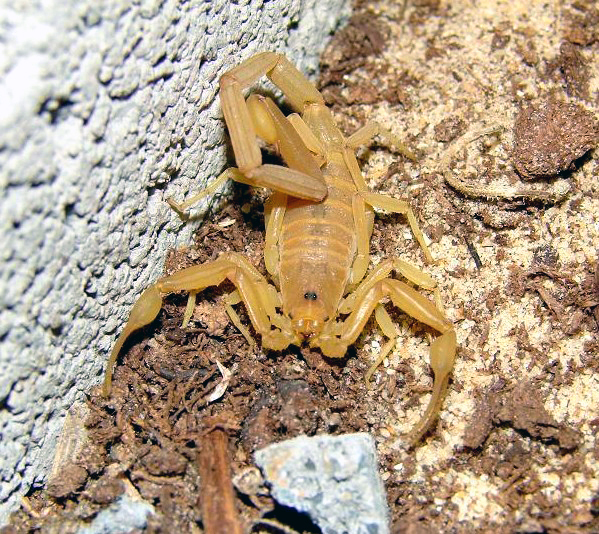 Clinical course of bark scorpion envenomation managed without antivenom. J Med Toxicol. 2012;8(3):258-62. 3. Lovecchio F, Mcbride C. Scorpion envenomations in young children in central Arizona. J Toxicol Clin Toxicol. 2003;41(7):937-40. 4. Lovecchio F, Welch S, Klemens J, Curry SC, Thomas R. Incidence of immediate and delayed hypersensitivity to Centruroides antivenom. Ann Emerg Med. 1999;34(5):615-9. 5. Sinha M, Quan D, Mcdonald FW, Valdez A. Cost Minimization Analysis of Different Strategies of Management of Clinically Significant Scorpion Envenomation Among Pediatric Patients. Pediatr Emerg Care. 2016;32(12):856-862.